If you run a bakery or a sweet shop than you must know how important it is to sell desserts, cakes, and cookies while they are fresh. And if you want to sell your products fast than you need a huge client base. And nowadays the best advertising tool is the internet. At first, it allows you to reach a wide audience of customers and secondly, it provides you with a possibility to present your products in the best possible way. 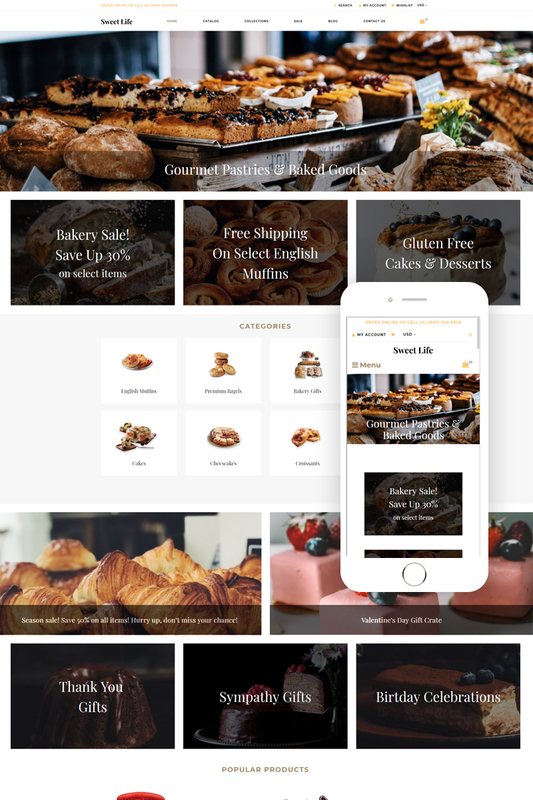 And if you need an e-commerce template for your sweetshop than Sweet Life Shopify theme is definitely what you need. It has easy to edit design made in creative and well-structured style. It has a blog and social options you can use to inform customers about new products. Moreover, it has many pre-built pages for various products and due to the catalog you can easily sort your product and provide customers with an easy search. 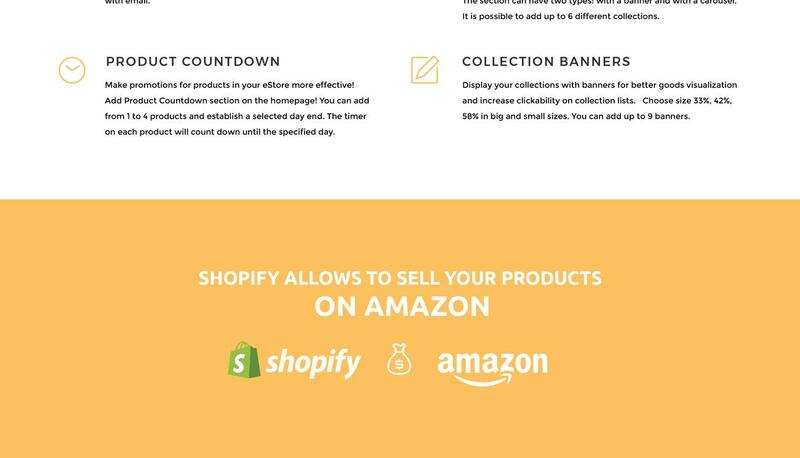 In addition, due to Shopify plugins, Sweet Shop provides you with cart, wishlist and currency options.